On 12 October, The Printing, Packaging and Signage Industry came together at a glittering function held at the Centre Court at Emperors Palace to celebrate print quality in all sectors of the industry. Winners were presented with custom-designed and handcrafted Gold, Silver and Bronze trophies representing the strength of the industry in the solid metal base and the beauty that it creates in the laser-engraved crystal top. The finalists in each category also received certificates while the runners up received Winning Achiever certificates. 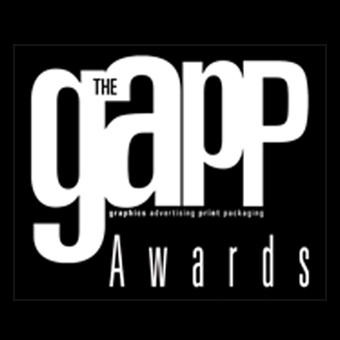 More than 800 entries ranging across 53 categories were received into The GAPP Awards 2018 from more than 135 companies, making this the largest print competition in the world. The Gold Award was won by Multiprint Litho for Anglo Mining Indaba Pack. The Silver Award was won by Process Litho for Q-10. The Bronze Award was won by Mortimer Offset for Christmas Cards and Envelope. Winning Achiever Awards were presented to: Business Print for The Collector Poster and, USS Graphics for Kisses. The Gold Award was presented to House of Print for Sappi Annual Integrated Report. The Silver Award was presented to Mortimer Offset for Sappi Brochures. The Bronze Award was presented to Shereno Printers for Vaal University Annual Report. Winning Achiever Awards were presented to: Ren-Form for Anglo Gold Ashanti and, Corpnet Excellence for The American International School of Johannesburg Annual Report . The Gold Award was won by Precigraph Limited (Mauritius) for Yours Only 18. The Silver Award was won by Business Print for The Collector Magazine. The Bronze Award was won by CTP Printers Cape Town for Kruger Magazine Autumn 2018. Winning Achiever Awards were presented to Paarl Media – Heatset KZN for Prestige Magazine and, CTP Printers Cape Town for The 16th Nelson Mandela Annual Lecture. The Gold Award went to Mylotype for Discover Africa’s Wonder. The Silver Award went to Multiprint Litho for 100 Years of Anglo American . The Bronze Award went to Multiprint Litho for Eskort Centenary Recipe Book. Winning Achiever Awards were presented to: Multiprint Litho for Krugerrand Golden Jubilee Coffee Table Book, Apple Print & Packaging for Echoes of the Wild and Templer Industries for Maboneng: Developing a Neighbourhood Economy. The Gold Award was won by Precigraph Limited (Mauritius) for Timeless Moments – Russian. The Silver Award was won by CTP Printers Cape Town for Douglas Jones Tile Product Catalogue. The Bronze Award was won by Atlas Printers for UFS H2 Activation Recipe Books. Winning Achiever Awards were presented to: Mylotype for Toyota CHR Brochures, Precigraph Limited(Mauritius) for Secret Private Villa Resort, Business Print for Image Hair Brochure, Oranje Print and Packaging for Boran Journal and Imprimerie et Papeterie Commerciale Ltee (Mauritius) for LUX Brochure. The Gold Award was presented to Business Print for Kenesis Web Development Folder. The Silver Award was presented to Colour Display Print for Lauriana Protea Stationery range. The Bronze Award was presented to Process Litho for Folders Summerhill. A Winning Achiever Award was presented to Multiprint Litho for Thrive Folder. NO Gold Award was presented in this category. The Silver Award went to Shereno Printers for Portraits of Wildlife. The Bronze Award went to Shereno Printers for Beneath the Waves. A Winning Achiever Award was presented to Colour Display Print for N3TC Calendar. The Gold Award was won by Printafoil for Scottish Leader Facetted Carton Gift Pack. The Silver Award was won by Colourtone Aries for Singleton. The Bronze Award was won by Masterpack, a division of Bidvest Paperplus for Tome Newtrin NDNA 8 Twin Pack. Winning Achiever Awards were presented to Shereno Printers for Chacha Box and, Precigraph Limited (Mauritius) for Penny Blue XO. The Gold Award went to CTP Printers Cape Town for Gay Pages – Winter 2018. The Silver Award went to CTP Printers Cape Town for Getaway – May 2018. The Bronze Award went to CTP Printers Cape Town for Go Namibia 2018 Travel Guide. Winning Achiever Awards are presented to: Paarl Media – Heatset Gauteng for Amrod and, Paarl Media – Heatset Gauteng – SA Home Owner. The Gold Award was presented to Paarl Media – Heatset Gauteng for Justine. The Silver Award was presented to Paarl Media – Heatset Gauteng for Wanted Jewellery. The Bronze Award was presented to Paarl Media – Heatset Gauteng for Hair Health & Beauty printed on a manroland Rotoman using Kodak and Agfa plates, Day blankets, Continental inks and printed on UPM Ultra H.
A Winning Achiever Award is presented to Paarl Media – Heatset Gauteng for Real Estate May 2018. The Gold Award went to CTP Newspapers Cape Town for The Ultimate Beef Experience. The Silver Award went to Caxton Printers for Sunday Times. The Bronze Award went to Paarl Media Coldset Gauteng – China Daily (African Weekly). Winning Achiever Awards went to Caxton Printers for City Press and, Paarl Media Coldset Gautengfor Siyaya Cash n Carry Best Buy – June 2018. The Gold Award was won by Multi-Color Corporation Paarl for Lothian Vineyards Riesling. The Silver Award was won by Boland Printers for BOSS Dog Food. The Bronze Award was won by GM Graphix for Parrot Gourmet Treat. Winning Achiever Awards were presented to SA Litho Label Printers for Durbanville Hills Sauvignon Blanc Sparkling Wine – Body Label, Multi-Color Corporation Paarl for Silverthorn The Genie. The Gold Award was won by Ren-Flex for the Coca-cola Cooler Box. The Silver Award was won by Ren-Flex for Double Cream Plain Yoghurt. The Bronze Award was won by Universal Labels for Meisterclub – Citrus/ Sriracha Rub. No Winning Achiever Awards were presented. The Gold Award went to ITB Plastics for 1.5kg Dr Hahnz. The Silver Award went to New Era Labels for 400ml Dawn Cocoa Butter. The Bronze Award went to New Era Labels for 400g Koro Krunch. Winning Achiever Awards were presented to New Era Labels for 200ml Dawn Special Musk, Tropic Plastic & Packaging Industry for Carlsberg 6 x 330ml Bottles Shrink and, Multi-Color Corporation – Knorr Salad Dressing Sleeve Range. The Gold Award was won by GM Graphix for Pink Happiness Little Secrets. The Silver Award was won by ITB Plastics for Ultra Dog 4kg. The Gold Award was presented to Tetra Pak SA for Ceres Delight Cocopine. The Silver Award was presented to Nampak Liquid Cartons for Woolworths Squeezed 7 pressed Mixed Berry 100% Fruit Juice Blend. The Bronze Award was presented to Nampak Liquid Cartons for Woolworths Squeezed 7 pressed Mango 100% Fruit Juice Blend. Winning Achiever Awards were presented to Nampak Liquid Cartons for Stiletto Vodka & Berry and, Nampak Liquid Cartons for Stiletto Vodka & Blueberry. The Gold Award went to Uniprint for Handy Andy 500ml with micro crystals. The Silver Award went to Multi-Color Corporation Paarl for Scattered EarthBush Vine Cinsault. The Bronze Award went to Uniprint for Vaseline Ricky Rick. Winning Achiever Awards were presented to New Era Labels for 750ml Sunlight Extra Nature and, New Era Labels for 750ml Sunlight Anti Bacterial. The Gold Award was won by New Era Labels for 250ml Stylin Froz Fro Softener. The Silver Award was won by Rotolabels for Saffron by Spice Route. The Bronze Award was won by Multi-Color Corporation Paarl for Bonita Cabernet Sauvignon. Winning Achiever awards were presented to Multi-Color Corporation Paarl for Olive Brook Sweet Spot Red and, Universal Labels for Spa Body Wash. The Gold Award was presented to Golden Era Printers for 3 Litre Drostdy Hof Natural Sweet Red. The Silver Award was presented to Golden Era Printers for 3 Litre Drostdy Hof Natural Sweet White. The Bronze Award was presented to Golden Era Printers – 5 Litre Drostdy Hof Premier Grand CRU. Winning Achiever Awards were presented to Golden Era Printers – 3 Litre Drostdy Hof Natural Sweet Rose and, Golden Era Printers for 5 Litre Drostdy Hof Extra Light White. The Gold Award went to Golden Era Printers for 1kg Ellis Brown. The Silver Award went to Sign & Seal Labels for Mirari Gin. The Bronze Award went to Golden Era Printers for 1kg All Bran. Winning Achiever Awards were presented to Taurus Packaging for 8kg Happy Tail Pawtastic Steakand, Golden Era Printers for 350g Kellogg’s Coco pops Chocos. The Gold Award was won by SA Labels for Dulux Membrane. The Silver Award was won by Sign & Seal Labels for Cape Gin. The Bronze Award was won by Sacks Packaging for 2.5kg Pick n Pay Cake Flour. A Winning Achiever Award is presented to Sacks Packaging for 2.5kg Woolworths Super Maize Meal. The Gold Award went to CTP Gravure Durban for Rooi Rose Magazine. The Silver Award went to Paarl Media – Heatset Cape for Homechoice – June 2018. Two Bronze Awards were presented in this category. The first to Paarl Media – Heatset Cape for Musica Entertainer – June 2018 and the second to CTP Gravure Durban for Food Lovers Market. A Winning Achiever Award was presented to CTP Gravure Durban for Woman & Home Magazine. The Gold Award went to MCC Label Johannesburg South Africa for Hunters Edge Apple Cider. The Silver Award went to Constantia Afripack Flexibles for Nestle Hot Pouch. The Bronze Award went to Constantia Afripack Flexibles for Cadbury Bar to Block Promotion. No Winning Achiever Awards are presented. The Gold Award was presented to Sharpline Signs & Graphics for Supa Drift Trophy. The Silver Award was presented to Fusion Digital for Early Man. The Bronze Award was presented to Sharpline Signs & Graphics for Guardians of The Galaxy – Posterplate. Winning Achiever Awards were presented to Sharpline Signs & Graphics for Reef – Promo Boardsand, Fusion Digital for Lap of Luxury. The Gold Award was won by Bidvest Soho for Samsung Galaxy S9. The Silver Award was won by 180 Degree Digital Print for Clarins Point of Sale Cosmetic Stand. The Bronze Award was won by Atlas Printers for Rama Roots. Winning Achiever Awards were presented to Sharpline Signs & Graphics for Sika Man Display and, Harrogate Plastics for Pfizer Centrum Shelf mounted Dispenser. The Gold Award went to Sharpline Signs & Graphics for Key Opel Isuzu. The Silver Award went to Branded Petal for Giorgio Armani Si Passione. The Bronze Award went to Fusion Digital for Toyota Dakar. Winning Achiever Awards are presented to Sharpline Signs & Graphics for Key / Isuzu muX Posterand, Branded Petal for Lorinda Baby Room. Two Gold Awards were presented. The first Gold Award was presented to Print Monkey for PF Carnival Cycling and, The second Gold Award was presented to Expert Promotions for Antique Table Revival. The Silver Award was presented to Shereno Printers for Harley Davidson Wallpaper. The Bronze Award was presented to Shereno Printers for Bamboo Wallpaper. A Winning Achiever Award was presented to Expert Promotions for Ideas Wardrobe Revival. The Gold Award was won by Sharpline Signs & Graphics for Maybelline. The Silver Award was won by Branded Petal for Castle Lager Foos Ball Table. The Bronze Award was won by Branded Petal for Antonio Banderas. Winning Achiever Awards are presented to Branded Petal for Jameson Foos Ball Table. The Gold Award went to Ad Outpost for Nicktoons. The Silver Award went to Ad Outpost for Vinolia. The Bronze Award went to Sublime Digital for Nissan. Winning Achiever Awards were presented to Ad Outpost for BlueWave Software and, Ad Outpost for Climatec. The Gold Award was won by Harrogate Plastics for Decorative Printed Skins. The Silver Award was won by Harrogate Plastics for Woodoc Brochure Stand. The Bronze Award was won by Bidvest Soho for Glass Printing – Interior Walls. Winning Achiever Awards were presented to Bidvest Soho for Paint Tin Cover Wraps and, Tygan Digital & Signage for Beepy Box. The Gold Award went to IM Design Factory for All Metal. The Silver Award went to Wrap-my-ride for American Star. The Bronze Award went to Sharpline Signs & Graphics for Dezzi Drifting Car Wrap. Winning Achiever Awards were presented to Sharpline Signs and Graphics for Gibson Tyretech Wrapand, Wrap-my-ride for VET. The Gold Award was presented to Screenline for BMW Billboard. The Silver Award was presented to Sharpline Signs & Graphics for Overwatch Promo Banner. The Bronze Award was presented to Print Monkey for Barclays. A Winning Achiever award was presented to Print Monkey for We Buy Cars. The Silver Award was won by Shereno Printers for Comrade Marathon T-shirts. The Bronze Award was won by Fusion Digital for Toyota Dakar. Winning Achiever Awards were presented to Tygan Digital & Signage for Beanbag Mini and, Shereno Printers for Brics Welcome Set. A Bronze Award was presented to Expert Promotions for Snow Cranes. A Winning Achiever Award was presented to Expert Promotions for Here’s Looking at You. The Gold Award was won by NGS Signs for Wildcoast Sun Pylon. The Silver Award was won by Sharpline Signs & Graphics for Espolon Tequila. The Bronze Award was won by Lutge Signs Africa for Supabets 3D Multi Sign. Winning Achiever Awards were presented to Lutge Signs Africa for Suspended Ceiling Lightbox and, Sign-A-rama Midrand for Lightbox 3D. The Gold Award went to ElegantFoil for Jessica’s 16th Birthday Invitation. The Silver Award went to Colourtone Aries for STAB Knives. The Bronze Award went to Print on Demand for Johnny Walker Green label Gift Box. Winning Achiever Awards were presented to Sign and Seal Labels for Diemersfontein Freshly Groundand, Easi-Bind for Free Range Sleeve. The Gold Award was won by Didget Printing for Pick n Pay Nut and Dried Fruit Range. The Silver Award was won Ren-Flex for Epic Dips. The Bronze Award was won by Didget Printing for Oh My Goodness . Winning Achiever Awards were presented to Didget Printing for PVM Energy Bars and, Didget Printing for Living Herbs. The Gold Award went to Multiprint Litho for ABSA Agenda Invites. The Silver Award went to Easi-Bind for Robertsons Incentive Trade Presenter. The Bronze Award went to Shereno Printers – Mitesh and Poonan Wedding Invite. Winning Achiever Awards are presented to Color in Mail for The Sun Met Exclusive voucher and, Apple Print & Packaging for International Shotokan Karate Federation. The Gold Award was presented to Multiprint Litho for HD Media Catalogue. The Silver Award was presented to Ren-Form for Socio-Economic Impact of Gambling in SA. The Bronze Award was presented to Minit Print for Tribe Magazine. Winning Achiever Awards were presented to Multiprint Litho for Kigali Heights Brochure and, Salty Print for Perfect Destinations Maldives Brochure. The Gold Award went to Shereno Printers for Lago Puccini Menu. The Silver Award went to Multiprint Litho for The Silver Birch Main Menu. The Bronze Award went to Shereno Printers for Tumullus Restaurant. A Winning Achiever Award went to Multiprint Litho for Yellowwood Folder . The Gold Award was won by 24HourPhotobooks for Izilwane Zasendle. The Silver Award was won by Multiprint Litho for Anke Diffuser. The Bronze Award was won by Shereno Printers for Africa With Love. Winning Achiever Awards were presented to Business Print for UP Arts and, Apple Print & Packagingfor Tirhani Auctioneers. The Gold Award was won by Universal Labels for Mampoer Liqueur Bottle Label. The Silver Award was won by Universal Labels for Mampoer Liqueur Canister label. The Bronze Award was won by Universal Labels for Henleys Handcrafted Gin. Winning Achiever Awards were presented to Ren-Flex for Bat Skins and, Label and Print Technologies for Natures Fresh. The Gold Award was presented to SA Litho Label Printers for Amarula – Name Them Save Them. The Silver Award was presented to Color-in-Mail for Stay and Play. The Bronze Award was presented to Color-in-Mail for Sun Just 4 You . Winning Achiever Awards were presented to Multiprint Litho for SAB Provident Fund Campaign and, Minit Print for Tribe Magazine. The Gold Award went to Shereno Printers for Nelson Mandela Foundation T-shirt. The Silver Award went to Sign & Seal Labels for Alexanderfontein. The Bronze Award went to USS Graphics for Thousand Mile Stare. Winning Achiever Awards were presented to Screenline for MTN Correx Boards and, Screenline for PVC Table Cloths. The Gold Award was won by Rapid 3D JV for PlayDeco. The Silver Award was won by Berg 3D Printing for Marmite Babushka Dolls. The Bronze Award was won by Berg 3D Printing for Rock Drill Nozzle. Winning Achiever Awards were presented to Rapid 3D JV for Wildlife Tracker and, Go Digital Print Service (Mauritius) – 3D Printed Braille Signage. The Gold Award was presented to Shereno Printers for Vukuzenzele Books. The Silver Award was presented to Ren-Form for Mocambique Sign and Seal Cards. The Bronze Award was presented to Swanman Print for Proudly South African – Locally Produced. A Winning Achiever Award was presented to Swanman Print for The After Math 11 August Ticket. The Gold Award went to Multiprint Litho for KFC Supper Time Bucket. Silver Award went to Atlas Printers for Magnum Chocolate Special Edition Box. The Bronze Award went to Mailtronic Direct Marketing for Preshan & Meera’s Wedding Invitation. A Winning Achiever Award went to Salty Print for Nguni Passport. The Gold Award was won by Colourtone Aries for Omo – Dirt is Good. The Silver Award was won by Pro-Touch Dies for Absa Private Clients Credit Card Box. The Bronze Award was won by Easi-Bind for Mosaic Manufacturing. Winning Achiever Awards were presented to Atlas Printers for Axe Speaker Gift Pack and, Spec Systems for Sarah’s Creek . The Gold Award went to Harrogate Plastics for Allura Sample Cover Sleeve. The Silver Award went to Harrogate Plastics for Vanilla Bean Coffee Shop Serviette Holders. The Bronze Award went to Evans Promotions for Sentinel Book. A Winning Achiever Award went to Pro-Touch Dies for Tastic Trade Presenter. The Gold Award was presented to Pro-Touch Dies for Eiffel Tower cut. The Silver Award was presented to Pro-Touch Dies for Pro-Touch Group Welcome Pack . Two Bronze Awards were presented. The first to Minit Print for Hot Choc Box and the second to Minit Print for Minit Print Sample Catalogue. Winning Achiever Awards were presented to Ren-Form for 2018 Ren-Form Calendar, Ren-Form for 2017 Ren-Form Calendar and, 24Hour Photobooks for 24HourPhotoBooks 2019 Calendar. The Silver Award went to Minit Print for Fabbri SA St Patrick’s Day. The Bronze Award went to Atlas Printers for Vaseline Lip Therapy Presentation Tin. Winning Achiever Awards were presented to Screenline for Bottle Cap and, Atlas Printers for Sunlight Extra Presentation Box. The Gold Award was won by Universal Labels for Reel Gardening. The Silver Award was won by Multiprint Litho for & Beyond Review Booklet. The Bronze Award was won by Screenline for Environmental Backlit Print. The Gold Award went to MullenLowe for Il Libretto Note Book. The Silver Award went to MullenLowe for Connect Evolve 2018. The Bronze Award went to MullenLowe for Peri Thread Book. Winning Achiever Awards were presented to Minit Print for Minit Print Blue Catalogue, Typo Colour Printing Specialists for Absa Credit Card Box, The Papershop for SA Bullion Brand Collateral, South African Reserve Bank for SA Mint 2017 Annual Report and House of Print for Dainfern College 20 Year Coffee Table Book. You can view the photographs from the event on The GAPP website.